Wondering how you can test your online course idea before you create it? Wouldn’t it be great to know that your idea was a winner before you spent one nano-second bringing it to life? I cannot tell you how many times I’ve explored the “is this a good online course idea” question with experts just like you. It’s a big question because when you sit down to create something, it’s great to know that people are out there waiting for it. We’re going to walk through how to test your online course idea so that you know more about what people are looking for before you start creating. Step 1: Test your online course idea by looking for competition. Do you see online courses, workshops, coaching or other programs in your area of expertise? This may show up as an ad in your newsfeed on Facebook or maybe you’ve received a promotional email in your inbox inviting you to a webinar or to download a free ebook. But, similar offers can actually be a really good sign. I know it’s easy to think, “Oh, the idea has already been done. I can’t do this.” The reality is, the fact that there is competition can be a sign that there is a strong market for what you’re offering. For example, Nancy Hillis is part of our Create 6-Figure Courses community. She is an artist and psychiatrist who wanted to create an online course focused on doing your deepest work as an abstract artist. 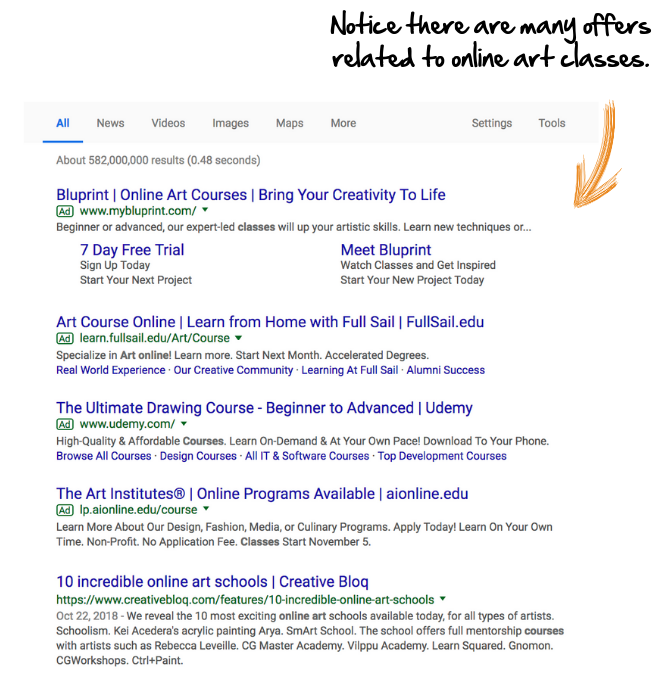 When we first began to test her online course idea, you can see that a quick Google search showed many different offers for online courses in art. As Nancy continued to test her online course idea, we searched Udemy (an online marketplace for courses) for online courses in her area of expertise, abstract art. Notice in the image below there are many online courses in her topic which are all low priced (which I do not recommend, by the way). 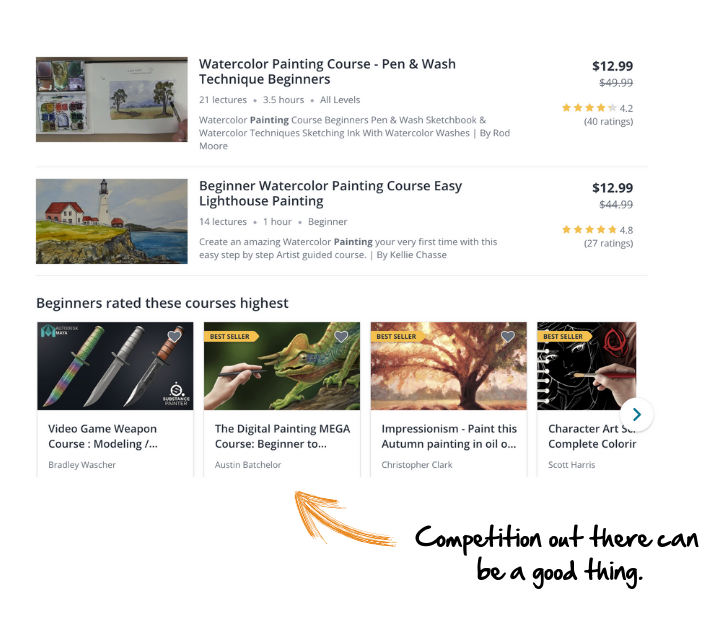 Most of the time if you don’t see competition for your online course idea or you don’t see somebody else actually offering your idea, you might need to swim up a little bit. Think about a broader topic that your people might be searching for, instead of the specific topic name you might call it. 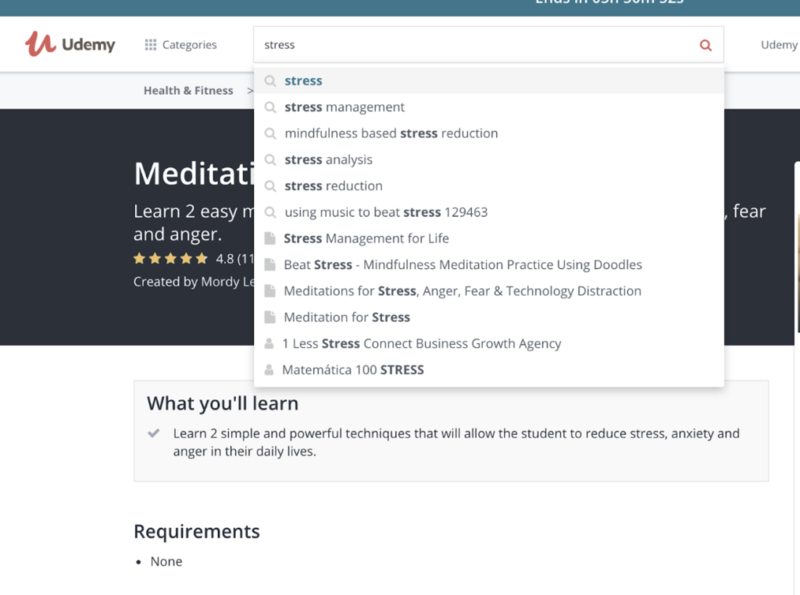 For example, maybe you see offers and online courses related to stress reduction which is a broad topic. But, you are testing an online course idea for a very specific way to meditate for executives in high stress situations. Step 2: Test your online course idea by using Amazon. Popular books in your topic can also be a great sign that people are interested in your topic. It shows that people are willing to invest to learn about it. You can use Amazon as a search tool to find insights about your course topic. 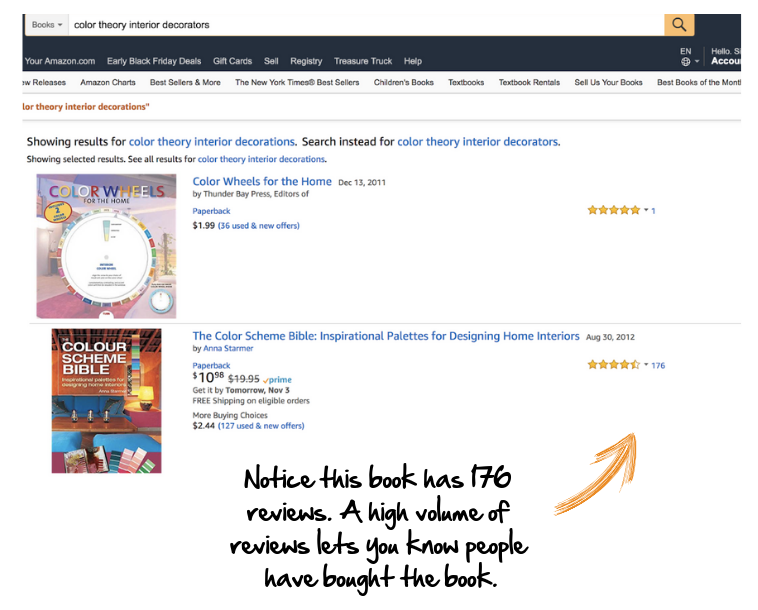 Here is an example of searching for books related to “color theory for interior decorators”. Remember, when you test your online course idea, you will likely need to search for a broader topic than your specific idea. Important: Remember, if you don’t see the topic, you likely need to go broader in your topic search. If you need help with this, let me know in the comments. Step 3: Test your online course idea by focusing on the questions people ask about your topic. Maybe you are at dinner with friends and somebody leans over and wants to talk to you about a topic you are thinking about covering in your online course. Maybe you’re in an online discussion forum and you see other people asking questions of the group related to your topic. People asking questions is a really great sign that you have a course idea that people would be interested in. Where can you look to see if people are asking questions? 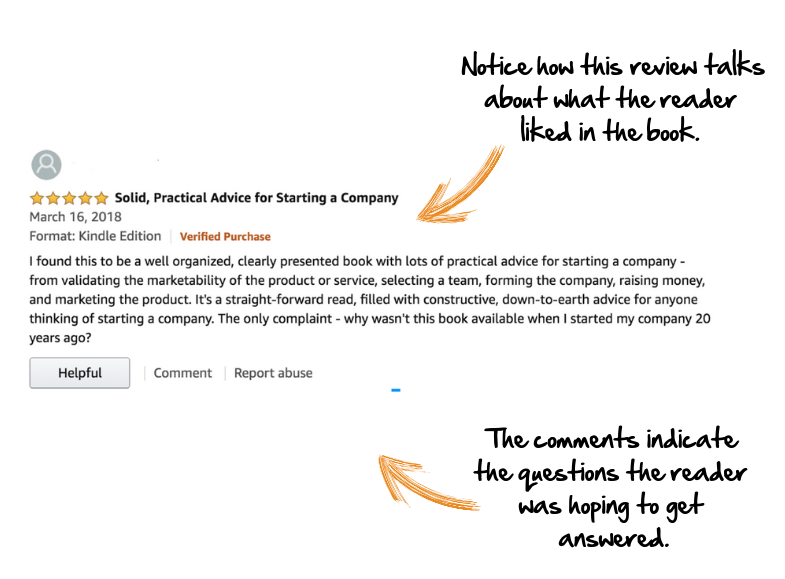 You can also use the reviews on Amazon to see what people liked and didn’t like about the books related to your topic. The reviews readers leave often indicate the questions they wanted answered which prompted them to buy the book. Christine Carr is part of our Create 6-Figure Courses community. Her area of expertise is helping start-up tech companies warp speed their growth. Take a look at this Amazon review on a book for start-ups. The review tells you that the questions the audience wants answered include things like how to select a team and how to form the company. Christine’s program, The Launch Mechanic, has been incredibly successful because she focused on questions her audience wants answered. You can also follow online discussion forums to listen in to what people are talking about. And, there is always the good, old-fashioned strategy of simply asking people you know what their biggest questions are about your area of expertise. Step 4: Test your online course idea by paying attention to free content being offered. When you start to test your online course idea, you might start to see free content in your topic being offered. 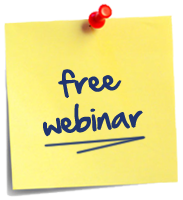 Maybe there’s a free e-book or somebody is leading a free webinar. Maybe there are blog posts sharing free steps and strategies. The fact that there’s free content out there can actually be a great sign. Just because there’s free content out there doesn’t mean that no one will invest in your course idea. People invest to work with you because they want to get support in implementing and getting results. Free alternatives don’t mean that there aren’t tons of people who would love to work with you and invest with you to go faster or to help you guide them step by step. And, if you don’t see free content and you know people have questions related to your area of expertise, this means you have an opportunity to create free content (like a webinar) that leads directly into your paid online course. Step 5: Test your course idea by zoning in on the result your course will help people get. Identifying a result you can help people achieve is by far the biggest indicator that your course will sell. When you test your idea, ask, “Can I help somebody get results they want in an area of their life?” Staying focused on results is the key to creating a powerfully impactful online course. To the contrary, there’s all kinds of results that people are investing in to achieve. Think about this: we invest to get results in things we care about. We all care about many things that go way beyond money or business. These are all different topics that course creators have zoned in on to create successful offers. The five steps we have walked through all are designed to help you see that people want to get the result that you can help them get. So is your course idea a winner? Walk through the steps. I can tell you this: even if you don’t see the immediate answer, there is a way to refine your idea and make it marketable. I work with folks to do this every single day. My question to you is: what result would you like to help people create? Share in the comments below! I look forward to being part of this process with you and bringing your idea to life so you can help the audience who is out there waiting for the work that you are here to do in the world.